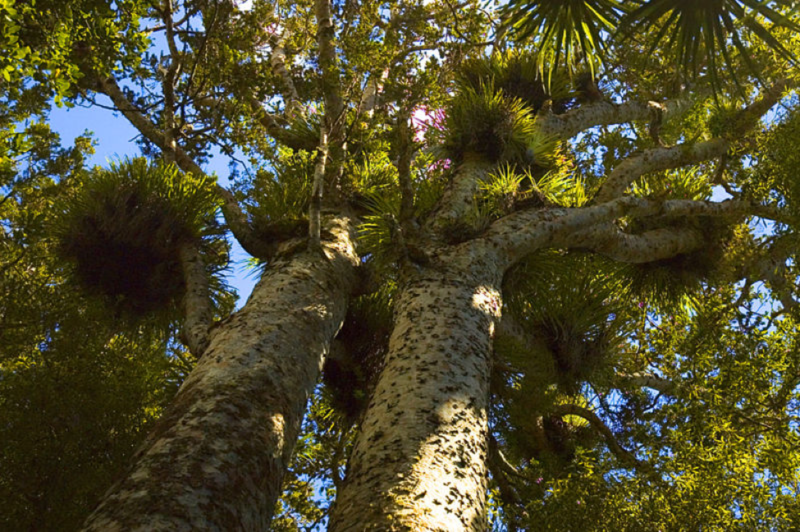 A long-dead New Zealand kauri tree is helping scientists reconstruct the timeline of a 30,000-year-old climate mystery. By using the kauri to line up clues, researchers found Antarctica could be the unexpected culprit behind puzzling climate changes during the last ice age. To figure out what happened in Earth’s past, scientists analyze ancient organic materials, marine and lake sediments, and ice layers. Taken together, these samples help researchers uncover ancient climate trends and changes. But determining the age of different samples is easier said than done. That’s why scientists needed the kauri tree. “One of the biggest challenges is the timescale, knowing when the things in your different records happened and how those timings compare to each other,” says Bradley Markle, a paleoclimatologist at the University of Washington who was not involved with the new kauri study. The trouble starts with current dating methods, which use radioactive isotopes formed by cosmic rays’ interaction with the atmosphere. To determine the age of an ice layer, scientists look at an isotope called beryllium-10. A different isotope, carbon-14, is used to determine the age of organic materials such as bones or plant matter, a more widely-known process called radiocarbon dating. The amount of each element will decrease over time in a process called radioactive decay. By measuring the trace amounts remaining in a sample, scientists can extrapolate that sample’s age. But radiocarbon dating is less accurate, according to Chris Turney, an earth scientist and lead author on the kauri study published on Sept. 12 in Nature Communications. This makes it difficult to accurately compare records dated using C-14 to records dated using Be-10. Trees, especially long-lived ones like the kauri, have value to climate scientists because they are reliable timekeepers. A tree’s lifespan is coded into its rings and the wood contains C-14 in regular increments, creating a more precise timeline than can be found in other organic records. Scientists can determine how old a tree is, how long it lived and create a map of C-14 levels for that period. Then scientists can accurately compare a tree’s C-14 record with the Be-10 record of an ice core, making it possible to compare the tree record to both ice and organic records. The ancient kauri tree samples are unique because of their long life – the tree used in this study lived about 2,000 years – and it survived the last ice age, when glaciers covering North America and Europe destroyed most of the ancient trees. “It’s like a Rosetta stone,” says Turney. Thanks to the kauri, Turney and his team determined that during a 400-year period of the last ice age, the Earth saw warming in Greenland, cooling in Antarctica and a dry spell in Australia. But when they pulled together these pieces, Turney and his colleagues realized something didn’t add up. The records indicated ocean circulation remained stable during this period. The ocean is usually a prime suspect in these kinds of global climate events. So, what did happen? The evidence also showed that even though Antarctica was cooling at this time, there was ice melting along the continent’s coast. Using a climate model, researchers found freshwater from melting Antarctic ice would have “trigger[ed]” an atmospheric bridge – a stream of air currents stretching 12,000 miles across the globe – causing climate fluctuations by air instead of by sea. This atmospheric bridge could influence rainfall, temperature and other weather patterns in various parts of the globe. Though the idea of an atmospheric bridge is not new, says paleoclimatologist Markle, scientists have not given the theory as much attention as ocean circulation in recent years. Turney is now employing new kauri trees to uncover more evidence of Antarctica’s role in past climate swings. Some amount of melting in Antarctica is likely as the climate continues to warm, says Turney, which means we may see some of these mechanisms come into play again. “Antarctica could make things a lot messier in the future,” he says. Excellent article. Appreciate the background on the scientific methods involved. Very nicely written. Very interesting dynamics that should be integrated into current problem-solving. I heard that Oxford University is involved in a research project like your. It’s awesome to see how you can get these kind of information from a tree, by the way a googled “Kauri trees” and they are massive and very beautiful. Best of luck on your research.